Not just a quaint country town anymore, Tryon, NC has put its mark on the map in more than one way. 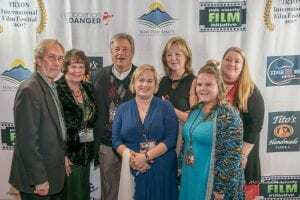 It’s always been a favorite spot for the equine enthusiast, but this year’s equestrian theme at the 3rd Annual Tryon International Film Festival had a surprising addition when EQUUS joined and brought some very prominent and skilled filmmakers and stars to the show. For those that may not know, EQUUS is based out of New York City and highlights and rewards the diverse and creative efforts of those in indie film, music, and advertising, who artistically pay homage to the horse through media. Some of this years winners include Best Feature: “Three Days in August” by Jonathan Brownlee and Best Tryon’s Overall: “Bound” by Daljit Kalsi. This year’s judges include some very well known names in the film industry- Producer/Director Frank M Calo whose film “The Believer,” starring Ryan Gosling and Billy Zane, won the Grand Jury Prize at the 2001 Sundance Festival, and photographer/cinematographer Elma Garcia, who has beautifully directed many brand name commercials and worked with some of the best cinematographers in the world. She is also an Amateur Dressage rider and lives in Mill Spring, North Carolina. Festivities included a Red Carpet Gala with a horse parade, producer/director and screenwriting workshops, cocktail party and awards ceremony. 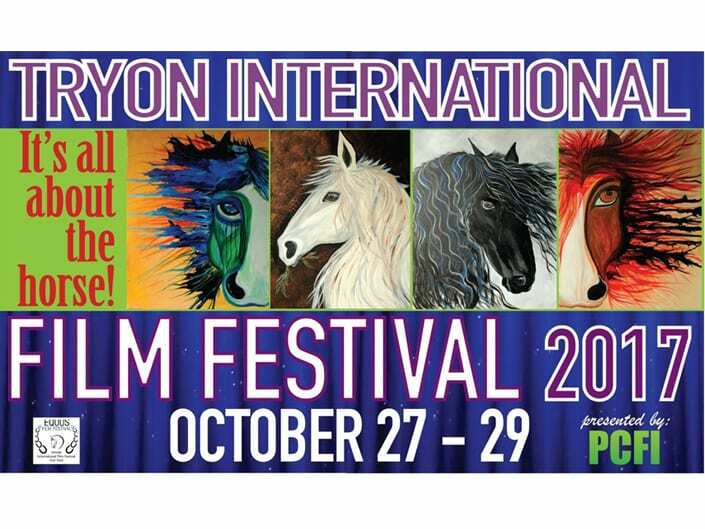 Films played throughout the weekend and consisted of equestrian films, documentaries, human rights and dignity films, short films and student films. Tom and Carole McKay speaking with Drea Dnur about her first short film, ” The Spirit of Nina in Buffalo”, a film about Tryon’s own international star Nina Simone. This was the first year Pinnacle Sotheby’s International Realty became a prominent sponsor for the festival and it was an honor to be able to support our community and all the people that were involved to produce such an amazing event. Click below for links to highlights of TFF.